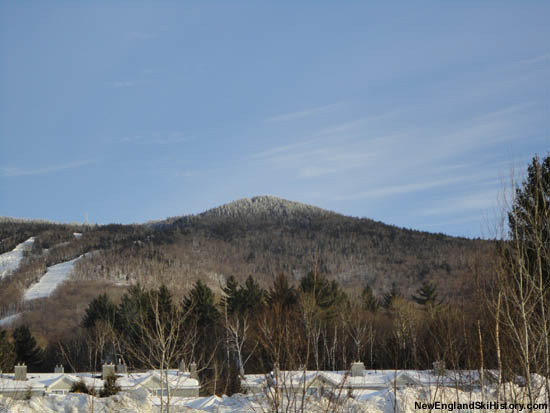 For multiple decades, there has been talk about expanding Burke westward to the slopes of West Peak. 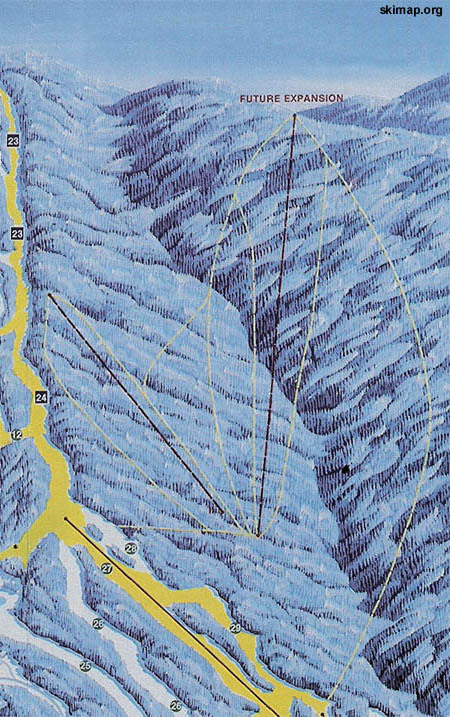 Known as the West Bowl, the proposed expansion was displayed on some 1990s Burke trail maps, calling for two lifts and multiple trails. The land leased for the potential expansion is part of Darling State Forest. 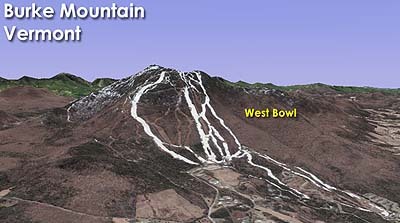 The West Bowl has not been included in recent proposal maps, so it is unknown when or if it will be developed. 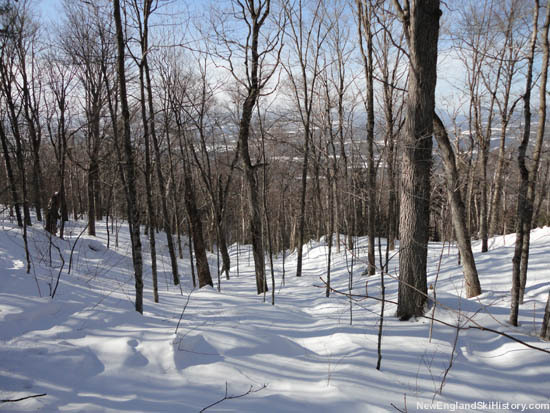 Some of the terrain is skied today via the Red hiking trail and fire road.